Lets hope the judges are getting fed up with this. I don't get that option with a right click . . . Right click on the link and save link as? Edited by POAT54, 04 November 2015 - 05:25 PM. i found this so very entertaining. Is the city's lawyer still wet behind the ears? She sounded like a fetus. She lacked confidence, possibly because she knows they don't have a leg to stand on. I loved hearing the question, "when people break in and steal guns from gun stores and ranges do they generally use them for additional crime just outside the door?" Soo much win! The judges using the training requirement to call this baldly unconstitutional is poetic justice. I don't know how much you can read into this, but the judges really questioned Chicago's attorney at every step. Other than (feebly) trying to answer the judges' questions, she really couldn't make much of an argument. She ran out of time, and had to be given extra time for a rebuttal. Alan Gura was cool as a cucumber, answered questions easily, and got through his prepared arguments with time to spare. The judges really didn't challenge him on his arguments very much at all. He seemed well prepared for any line of questioning the panel threw at him. He seemed much smoother today than he did in Moore v. Madigan three and a half years ago. I wouldn't be surprised if most of the panel hadn't already made their decision. What the HECK is an ASSAULT RUFFLE?!? One that has 10 or more pleats? I wonder which former school buildings will be converted into ranges. The old Lafayette school would be a good place IMO. I don't think we should count out the old Domonicks stores that were not bught out by Mariano's or Jewel. The judges did seem to get the fundamental point that Chicago wants to prevent, not regulate, the construction of ranges. Hypothetically, if someone like Donald Trump becomes President and gets to nominate judges to the Supreme Court, could he nominate Alan Gura? You know, if Alan was willing to take such a pay cut? I also couldn't help but notice the incredible void of firing ranges in the Ravenswood neighborhood. I like the Dominic's idea. I've been told there was an indoor off hours range in the basement of Happy Foods at central and Peterson (?) back in the '70s. That audio transcript was sheer entertainment. I have to believe that Chicago will not win this. The big question I have is what will the end result be if the judges rule in our favor?- Clearly shooting ranges in Chicago, but in what time frame? While within the courts power, I can't believe this will abolish all zoning ordinances as they relate to shooting ranges in Chicago. From a practical standpoint I would venture to guess that Chicago will be forced to lift the current zoning restrictions and redraft some less restrictive guidelines under a very stringent deadline (akin to 6 months IL had for CCW measures), or suffer some form of severe consequence. 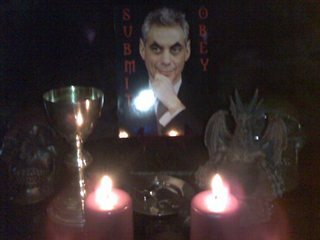 Please weigh in as too what you would foresee judges instruct Chicago to do if they rule in our favor, and what kinds of consequence the city could potentially have for not meeting the directives. Edited by ishootberetta, 04 November 2015 - 11:26 PM. Just listened. Wow. The city needs to ask for a reduction in its legal fees due to the ineptitude of the lawyer representing them. She sounded about 10, a kid nervous about reciting a poem at a school assembly. The older female judge sounded like the stereotypical granny that should have her knitting with her. The whole thing was highly entertaining to listen to! Wow. That was worth listening to. Really wish I could have made it back in town to see it live. One can only hope Highland Parks head litigator will be as inept if it goes to Scotus. The audio is amazing. Chicago just proves their ineptitude to do anything. After a second run-through, I was encouraged to hear that the judges all appeared to have a clear understanding of what level of scrutiny was required and of how to apply it. In contrast, for example, with the trial judge and appellate panel for Friedman, who adopted their own idiosyncratic "no-scrutiny" approach. Sounds good. The panel didn't seem to buy the city's arguments, and they seemed more to be coaching Mr Gura in order to get to the core of his argument. HOWEVER, trying to guess a court's ruling BEFORE it is out is not a game I often win. haha what if they force them to allow people to use the CPD ranges? If ranges are built in Chiraq how will persons wanting to get their license to own a gun be able to qualify? Without a gun store attached how can they RENT a gun to qualify? Will there need to be another long drawn out expensive court case taking another 4-6 years before any firearms stores are permitted to open their doors? License to own? Assuming you meant carry because you don't have to "qualify" for FOID. The trainer could always bring sirt guns for practice in a classroom and then qualify them on loaners he brings with him. Edited by TRJ, 05 November 2015 - 02:56 PM. IIRC that "license " was the reason Otis went all the way to SCOTUS before he could OWN a handgun. This was hilarious. I stayed up past my bedtime last night to play the whole thing and I'm sleepy today, but it was worth it! Edited by officedrone, 06 November 2015 - 09:33 AM. This is fantastic. I was laughing so hard that I almost got a piece of burnt brisket ends lodged in my throat. Fortunately, I had some good beer to wash it down with!